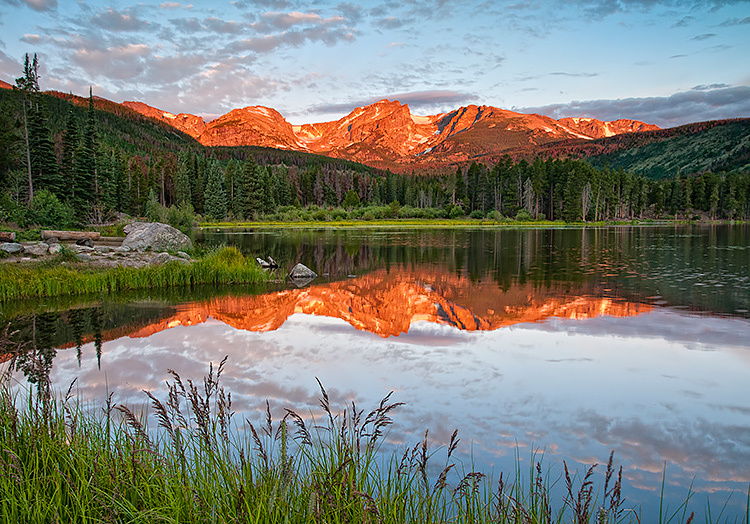 Experience the Rocky Mountain National Park through the view finder on a private Photo Tour set up just for you. Learn the skills of wildlife, landscape, macro, and nature photography, or focus on just one or two. 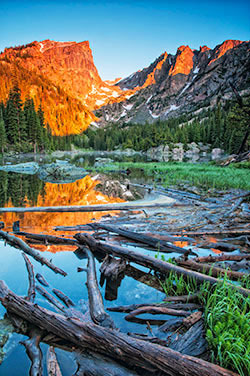 Everyone from professionals to first timers will gain a new perspective on photography and Rocky Mountain National Park. Our job is to get you to the right place at the right time, and point out the best places to revisit on the rest of your vacation to get the best images to take home. We are experienced with all makes and models of DSLR cameras including: Nikon, Canon, Sony, Olympus, and a whole variety of point and shoot cameras and even phones. I've had clients tell me they learned more on a single tour than on week long workshops. Beginners, learn how to use your camera to its fullest potential and we'll get you off of automatic mode. We are very experienced in teaching you the basics in a simple understandable manner so you start seeing huge improvements within the first hour of the tour. Generally a 4 or 6 hour tour is best for beginners. Some folks burn out at 4 hours, while others can keep going well past 6. The best length for you depends on which one of of those descriptions is most like you. 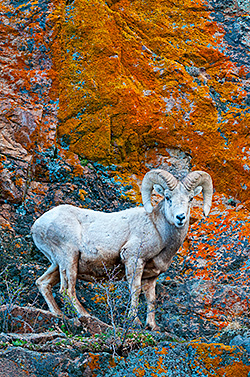 Experienced photographers, we can plan a special trip to try to catch amazing shots, go over your technique, customize your camera settings, and talk about ways to improve your shots here in Rocky and all over the world. You may want to consider an 8 hour Split day spending 4 hours in the morning and evening to focus on the best light of the day. We can discuss skills like hyper-focal distance, prime apertures for sharpness, live view focusing, tilt/shift, long lens techniques and more. We can also make a custom trip to hit some really amazing locations that can take years to find. 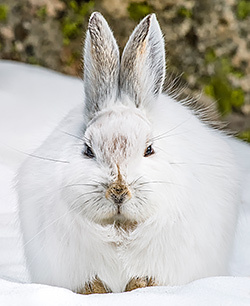 Click the button of the season you are planning your photo safari for options of what we can shoot during that time of year. First we will start by making sure your camera is set up to capture the best pictures possible. Then learn aspects of photography such as composition, light metering, reading a histogram, and some secrets that will improve every shot you take. If you want to make the jump from "point and shoot" to the world of "f stops" and "shutter speed," this is the perfect opportunity for you. Generally Aperture Priority Mode with selectable auto-focus is the recommended method that 98% of professionals use and we will teach you how to use those exact settings. You don't have a camera, don't worry, you can use ours! By using our professional digital cameras with a selection of lenses you can get shots of the majestic mountain vistas or zoom in on a Bull Elk's eye lashes. Keep in mind gear of this level requires a desire to learn how to use it, they have no automatic settings. 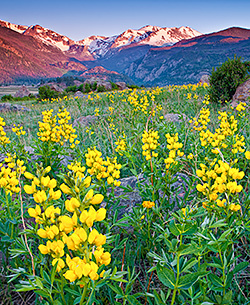 Before your Photo Safari be sure to visit Yellow Wood Guding's Photo Training Videos so you are prepared for a great day of photography in Rocky Mountain National Park. Even though this is a photographic tour you will still learn tons of interesting facts and gain a new respect for this amazing environment. Tour Details: All tours are private, only the people you invite will come along. Limited to four people, 3 or less recommended, we offer use of two Nikon D810 Digital SLRs, Nikon D500 DSLR (pre-ordered), Gitzo tripods, and lens selection from 10mm - 1020mm (up to 20x magnification). Due to the level of instruction and cost of gear we limit our Photo Safari's to children 12 and up. If your kids are under 16 please read the Safari FAQ to make sure this tour is for your family. There are a number of stops where we can use the park restrooms. Sunscreen, eco-friendly and optics friendly bug spray, water and healthy snacks are provided for all guests. *Not Included: Park entrance fees are $25 per day or $35 for a 7 day pass.